Welcome to 2012. The Arab Spring, the Occupy Spring, the Indignado Spring continue. In Tunisia, Egypt, Libya, Bahrain, Syria, Yemen, and beyond, women are on the move, on the march. In Saudi Arabia, women are on the drive as well. Young women. Across the United States and Canada and beyond, young women are leading and expanding the Occupy movement. 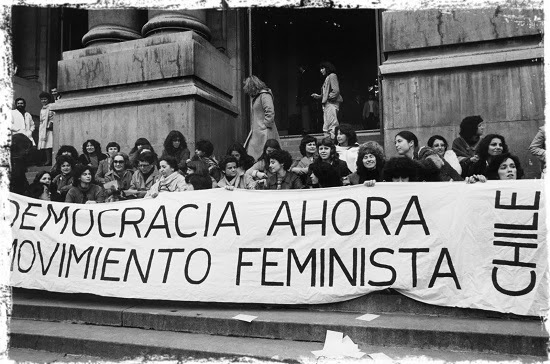 In Chile, women high school and university students are pushing to end the privatization of education, to open the schools to freedom, democracy, universal opportunity. In India, young rural women are leading resistance campaigns to stop major land grabs. In Afghanistan, teams of young women athletes are punching their way through centuries-old as well as recently devised glass ceilings. In Kenya, young women are entering into local electoral politics. In Mauritius as well. Women everywhere are on the move, keeping on keeping on, filling spaces with their voices, their bodies, their energy, their aspirations, their collective and singular power. In the United States, girls like seventeen-year-old Nga Truong, are routinely forced into confessing crimes they didn’t commit and then are sent off to prison. In the United States, seventeen-year-old girls like Samantha L. are sent to prison for life, without possibility of parole. In Australia, teen-age girls, like Danielle Troy, have to plead for compassion rather than punishment. Their crime? Being mothers. 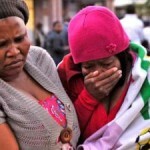 And in South Africa, two teenage girls are attacked by a crowd of 50 or 60 `adult’ men. Why? Because one of them was wearing a mini-skirt. Four years ago, another young woman, Nwabisa Ngcukana, was stripped and assaulted for exactly the same `crime’, at exactly the same taxi rank. From domestic violence to more general sexual violence to mob violence to State violence and beyond, the patriarchal story of young women is the story of being-sacrificed. If a man is told, by no less than God, to sacrifice his son, we are told that is a tragedy. A moral and ethical crisis. But where is the mother of that son in the story? And what if, instead, the father was told, by no less than God, to sacrifice his daughter? Would that too be considered a tragedy? An ethical and moral crisis? Women, and in particular young women, are saying, “No.” They reject the story that excludes them and the `suspense’ that reduces them. They are saying – with their bodies, voices, actions and deeds – women and girls are not to be sacrificed. If `the Law’ says they must be, the Law is wrong. Women are making a better Law, living out a better story, and creating a better world. Another, better world is possible. In Bahrain yesterday, thousands filled the streets in pro-democracy protests. In Bahrain today, Ayat al-Qurmozi was sentenced to a year in prison. Her crime is poetry. In February, the twenty-year-old teacher trainee, a student at the Teacher’s College of Bahrain, attended a pro-democracy rally in the Pearl Roundabout. She read a poem to the crowd. The crowd went wild. Then the State did as well. It hunted her down. She went into hiding. Police, by the busload, flooded into her parents’ home and promised to kill her brothers first, and then the parents, if she wasn’t located … promptly. She turned herself in. That was March. Since then, Ayat al-Qurmozi has been tortured, held incommunicado for long periods, blindfolded and forced to sign a document which claims to be a confession. Today, June 12, she was sentenced to a year in prison. The State has invested quite a bit of energy and resources into the education of this young Shia woman student poet’s education. We do not want to live in a palace and we do not want to live like the President. We are the people who kill humiliation and assassinate misery. We are the people who use peace to destroy the foundation of injustice. We, the people, do not want our brothers and sisters to remain in suffering and despair. One day, a spirit came to the King and said, O Hamad! They have touched me, your people. Do you not hear? Do you not hear their screams? And the crowd went wild. And so did the State. Today, Ayat’s mother asks, “What did she do? She wrote a poem.” Is the price of poetry really martyrdom? Now Ayat al-Qurmozi sits with Zainab al-Khawaja, Dr. Fareeda al-Dallal, Eman Abdulaziz Alaswam, Roqaya Jassim Abu Rwais, Fadhila Mubarak Ahmed, and all the unnamed and all the unknown women and girls in Bahrain who have been targeted for repression, who receive special attention when seized, arrested, interrogated, incarcerated. The women of Bahrain are paying dearly for freedom of expression, for expression and for freedom. The State is investing a great deal in their education. But as elsewhere the revolution will not be educated. Who is the stranger in our midst? Ask the police. There was a protest, a service delivery protest, on Wednesday in Setseto, outside of Ficksburg, in the eastern part of the Free State, in South Africa. During the protest, Andries Tatane, a 33 year old activist, approached the police. Either he approached the police to plead for some consideration for an elderly man who was not part of the protest or he approached the police to ask them to stop using water cannons because there were elderly people in the protest. Tatane was shirtless, unarmed, unthreatening. About six or seven riot police attacked him, beat and kicked him. Then Andries Tatane was shot. Finally he collapsed, and died, 20 minutes later. 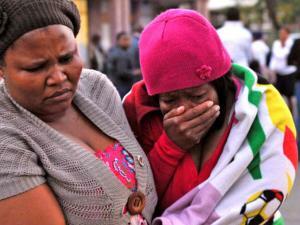 By the time the ambulance arrived, Andries Tatane was dead, and the mourning, and outrage, had begun. There was a protest, a student protest, on Monday in Kabale district, in southwestern Uganda. Students at Bubaare Secondary School went on strike, protesting a policy shift affecting the disposition of male and female students. During the protest, Judith Ntegyerize, a senior, walked by, on her way to classes. The riot police showed up just then, allegedly shot their rifles in the air, and a `stray’ bullet hit Ntegyerize in the head and killed her, instantly. These are only two stories, only two stories from the past week. In the past year, there have been similar stories of unarmed innocents killed by police fire everywhere. 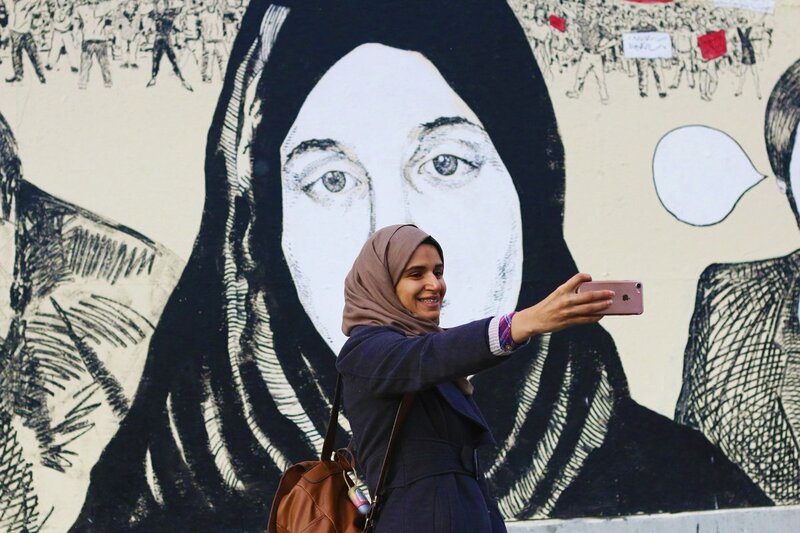 Around the world there are murals to the martyrs, more often than not young women and men, such as Oscar Grant, in the United States, or Neda Agha-Soltan in Iran, or the young women and men killed by live fire in protests in Yemen, Syria, Bahrain, Egypt. Sometimes, their names become known, more often they remain anonymous. Sometimes, the State apologizes, but usually it just spins. Whenever police are armed with live bullets and sent to a protest, the State has decreed that deadly force is an acceptable means to an end. But what is the end? It is the identification of the strangers, the strangers in our midst. Only the strangers can be so blithely beaten, kicked, shot, disposed of, dumped like so much garbage, killed. That is the nation-State’s rule of law, the law that protects `citizens’ against the threat, the pathogen, of strangers. In a poem entitled “Passover”, Primo Levi enjoined us, all of us, to “light the lamp, open the door wide so the pilgrim can come in”. That poem ends with these words: “This year in fear and shame, next year in virtue and in justice.” Open the door, open it wide, and when you do, remember Andries Tatane and Judith Ntegyerize. Remember. The dead shall not walk through those open doors.